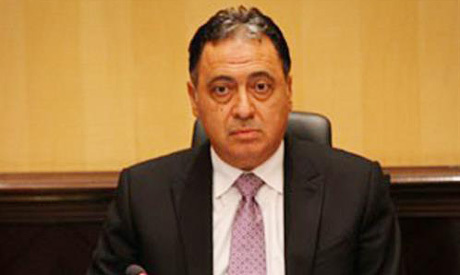 Egypt's cabinet approved on Monday a national health insurance draft law and referred it to the legislative committee at the State Council for legal review, health minister Ahmed Emad said at a press conference. The health minister said that according to the law, the government will fully cover treatment for citizens who cannot afford to pay – who comprise 30-40 percent of the population. Emad said that the new law will also guarantee a certain standard for quality of medical service, state news agency MENA reported. Emad added that the Ministry of Social Solidarity will be in charge of determining which patients qualify for free medical care. The draft law would establish three new administrative bodies to manage the new system: a financing body; a healthcare body that delivers the service in primary healthcare units and hospitals; and a body that will handle accreditation of service units and providers, quality of service, and supervision of operations. Emad added that public hospitals will be the government's arm in the provision of services under the proposed health insurance law, while the participation of the private sector will be based on rules and standards set by the healthcare body. The minister said that primary healthcare units will provide services to almost 70 percent of the cases, and overflow cases or patients in need of surgeries will be referred to hospitals. An actuarial study commissioned by the ministry will determine the number of citizens who qualify for coverage. If passed by parliament and ratified by the president, the new system will be implemented gradually, starting in the Suez Canal region. The Doctors Syndicate had criticised an earlier version of the cabinet's draft for designating the National Healthcare Insurance Authority, the government body that has provided affordable healthcare to the population for decades, as a for-profit body where profits are made off patients. The Doctors Syndicate had also criticised the bill for tasking public hospitals with providing healthcare, citing a decline in the quality of service in the public health sector. It is not yet clear if the proposed bill addresses the syndicate's concerns. Many Egyptians have for decades suffered from poor medical service and grim conditions at dilapidated state-run hospitals. Egypt has allocated EGP 53.3 billion in the current 2016/2017 fiscal year’s budget to healthcare spending, representing 5.7 percent of total government spending – or 1.6 of the GDP. The share for healthcare in the budget has been criticised in recent years by doctors and patients as insufficient and far below international standards. Article 18 of the country's constitution says that "every citizen has the right to complete healthcare, according to quality standards, and the government should preserve the healthcare infrastructure and support raising its efficiency. The government is obliged to accredit a percentage of their public expenditure to healthcare that is not less than 3 percent of the GDP."